Friday, January 5 @ 10:30-11:30 a.m.: STEM with Miss Nicole for an 11 week program featuring stories, art, songs and more. This program is for children ages 3-5 and registration is required through Triumph, Inc. @ 508-822-5388 ext. 208. Week 5. Tuesday, January 9 @ 10:30 a.m.: Winter Movie: See website for details. (G, 26 min.) All ages with adult, no registration. Wednesday, January 10 @ 1:00 -2:00 p.m.: Crafternoon. “Do you want to build a snowman?” Drop in craft for ages 3-5 with adult. No registration, while supplies last. Friday, January 12 @ 10:30-11:30 a.m.: STEM with Miss Nicole for an 11 week program featuring stories, art, songs and more. This program is for children ages 3-5 and registration is required through Triumph, Inc. @ 508-822-5388 ext. 208. Week 6. Tuesday, January 16 @ 10:30-11:00 a.m.: Story Time with Miss Emily. Stories, games, a craft and FUN! All ages with adult, no registration. Wednesday, January 17 @ 9:30-10:00 a.m.: Book Babies. Lapsit for children up to 30 months with caregiver. Join Mrs. Davis for rhymes, songs, story and playtime. No registration. Wednesday, January 17 @ 10:30-11:00 a.m.: Story Time and craft. Drop in story time for all ages with adult. Join Mrs. Davis for stories, songs, rhymes and a craft. All ages, no registration. Thursday, January 18 @ 10:30-11:00 a.m.: Book Babies. Lapsit for children up to 30 months with caregiver. Join Mrs. Davis for rhymes, songs, story and playtime. No registration. Friday, January 19 @ 10:30-11:30 a.m.: STEM with Miss Nicole for an 11 week program featuring stories, art, songs and more. This program is for children ages 3-5 and registration is required through Triumph, Inc. @ 508-822-5388 ext. 208. Week 7. Tuesday, January 23 @ 10:30-11:00 a.m.: Story Time with Miss Emily. Stories, games, a craft and FUN! All ages with adult, no registration. Wednesday, January 24 @ 9:30-10:00 a.m.: Book Babies. Lapsit for children up to 30 months with caregiver. Join Mrs. Davis for rhymes, songs, story and playtime. No registration. Wednesday, January 24 @ 10:30-11:00 a.m.: Story Time and craft. Drop in story time for all ages with adult. Join Mrs. Davis for stories, songs, rhymes and a craft. All ages, no registration. Thursday, January 25 @ 10:30-11:00 a.m.: Book Babies. Lapsit for children up to 30 months with caregiver. Join Mrs. Davis for rhymes, songs, story and playtime. No registration. Tuesday, January 30 @ 10:30-11:00 a.m.: Story Time with Miss Emily. Stories, games, a craft and FUN! All ages with adult, no registration. Wednesday, January 31 @ 9:30-10:00 a.m.: Book Babies. Lapsit for children up to 30 months with caregiver. Join Mrs. Davis for rhymes, songs, story and playtime. No registration. Wednesday, January 31 @ 10:30-11:00 a.m.: Story Time and craft. Drop in story time for all ages with adult. Join Mrs. Davis for stories, songs, rhymes and a craft. All ages, no registration. 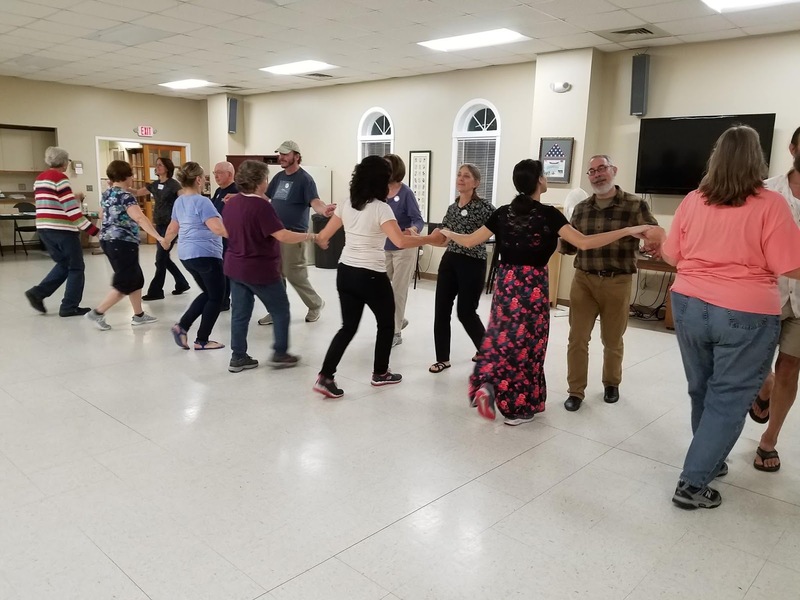 The Bridgewater Community Dance Series, featuring a mix of international folk dance and New England squares and contras, is now in its seventh season. 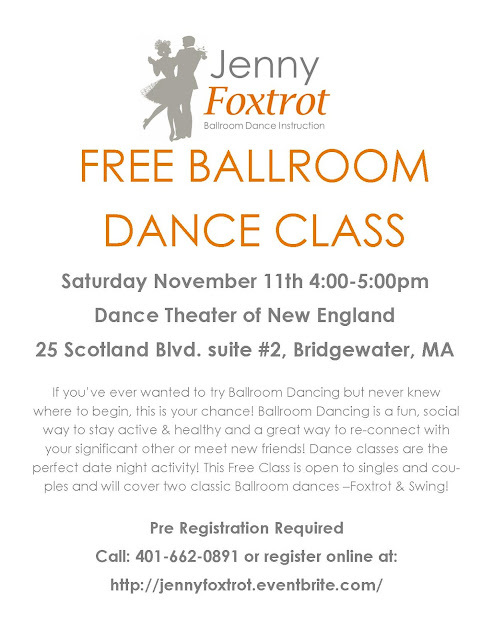 The dances are suitable for ages 10 and up, no prior experience is required, and all dances are taught. Dances are held on alternating Fridays—with some exceptions—from 7:30-9:30 p.m., at the Bridgewater Senior Center. Dates for the winter/spring 2018 series are January 5 and 19, February 2 and 16, March 2, 16, and 30, April 6 and 20, May 4 and 18, and June 1 and 15. Cost for the full, winter/spring season—13 sessions—is $78 per person. Single night attendees will be charged $8 per dance. Dance leader, Sam Baumgarten, professor emeritus at Bridgewater State University, has over 40 years of teaching experience and continues to teach classes at BSU in folk, square, and contra dance. 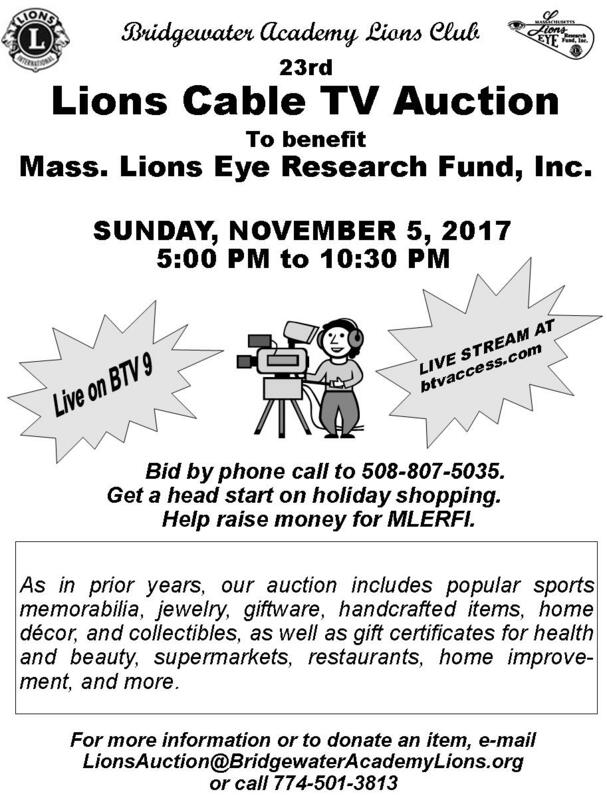 To obtain a registration form or for more information, contact Sam at 508-697-6848, or 774-208-2933, or sbaumgarten@verizon.net. Also, check the Facebook page here. The Bridgewater-Raynham Special Education Parents Advisory Council (BR-SEPAC) will be holding a presentation for the 2017-2018 school year on Tuesday, January 9th at 6:00 pm titled, Basic Rights. Learn how special education law can support your child and understand your rights so you can effectively collaborate with your professional partners. The meeting will be held at The Bridge Center located at 470 Pine St., Bridgewater, MA. The BR-SEPAC will hold a meeting at 6 pm and then the presentation will follow at 6:30 pm. Please register online in advance for free childcare at: http:// www.thebridgectr.org by January 1st. Sunday, Dec 24, 10am : Fourth Sunday of Advent! Join us for lessons and carols at this family-oriented Christmas season service. Sunday, Dec 24, 10pm : Christmas Eve service of music and readings preparing for the arrival of Jesus. Culminates in the traditional singing of Silent Night by candlelight. For more information about Central Square Church, visit www.csccucc.org or visit us on Facebook at www.facebook.com/csccuccbridgewaterma. The Massachusetts Aggression Reduction Center will host a Comedy Night in the BSU Rondileau Campus Center Ballroom this Friday, Dec 15 at 7:00 p.m. (doors open at 6:30 p.m.) Come share some laughs and de-stress with comedian Chris Tabb. Open to the public. Admission is $15 per person, and free for BSU students with a valid ID. Co-sponsored by BSU Weekends. To reserve tickets, call 508-531-1784. There is an all night on-street parking ban in effect between the hours of 2 AM and 5 AM from December 1st through April 1st. Vehicles parked on the street or sidewalk will be ticketed by the Police Department. During sanding and snow plowing operations, they will be towed at the owner’s expense, regardless of time of day. It is illegal to remove snow or ice from private property and place it in the roadway or sidewalk. This can create a hazardous condition where the business or homeowner may be held liable in the event of an accident. It is illegal to pump water or other liquids onto any sidewalk, street, or public way during the months of November through April. Residents and businesses should not rake leaves from their private property into the roadway or sidewalk. The Highway Department will pick up leaves that fall on the roadside only. We will not pick up leaves that have been raked from private property to the roadside. Leaves that are raked onto the roadway can clog the street drainage catch basins and cause flooding problems. This creates an extremely dangerous condition for which residents and businesses may be held liable. Please remove any personal items that are left in the public way, sidewalk, at the end of your driveway, or extend into the public way when mounted on trees or utility poles, including but not limited to: trash cans, signage, potted plants, hanging baskets, portable hoops, skateboard ramps and hockey nets, equipment, or signage that might interfere with sanding and plowing activities of public ways and sidewalks. These items can cause significant damage to plow vehicles and put equipment operators in danger of personal injury. The Town of Bridgewater will be hosting an information session on Wednesday, December 13th, 2017 at 6PM in the Town Council Chambers, 66 Central Square regarding the sole response on the McElwain School Request for Proposal (RFP). Representatives of the respondent will be in attendance to provide information and take questions relative to their response and proposal to the Town. 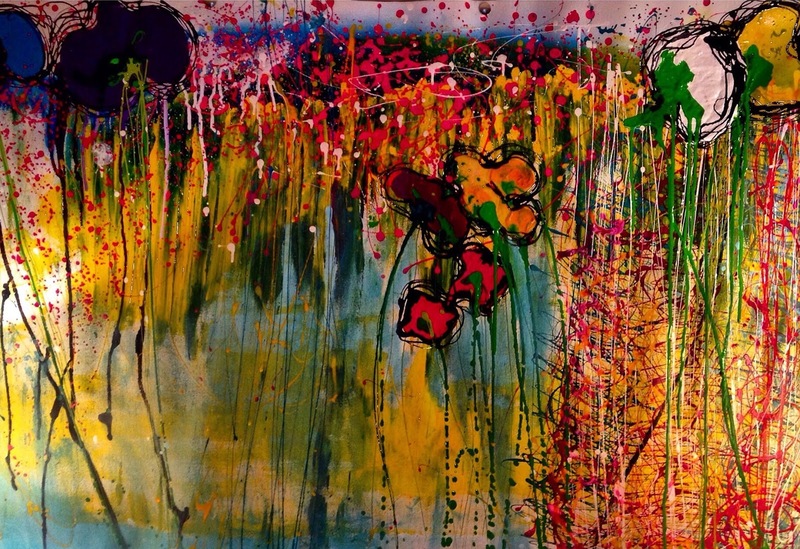 The Bridgewater Public Library will feature an exhibit of paintings entitled “Searching for Brightness” by Dawn M. DeCosta in the Flora T. Little Art Gallery. The exhibition will be on display during the months of December and January. Around the Common would like to welcome Baystate Mold Advisors as our newest local business listing. We encourage you to support our local sponsors! Baystate Mold Advisors LLC is a mold inspection company operating across the South Shore and Cape Cod and serving Bridgewater residents. Since 2006, they have devoted their time and expertise to helping homeowners in the community improve their indoor air quality by removing mold and testing for other pollutants. To keep up with industry standards and to help you keep your home as healthy as possible, Bay State Mold Advisors is trained every year for indoor air quality testing. They are members of the National Organization of Remediators and Mold Inspectors (NORMI) and are BBB accredited. Baystate Mold Advisors will inspect your future or current home for mold and, if found, remove the dangerous mold to protect your family! Al Hall of Baystate Mold Advisors was featured in Boston Voyager magazine and you can read that article by clicking here. Baystate Mold Advisors prides themselves on providing nothing but the highest level of quality mold remediation and customer service to their customers and customer testimonials speak for themselves. Don't trust your mold remediation projects to just anyone; instead, partner with the seasoned professionals at Baystate Mold Advisors and ensure your job will be completed with the quality and commitment your family and your home deserves. For more information about how Baystate Mold Advisor can help keep your family safe from the dangers of mold, please contact them for information about mold removal services and air quality testing. Be sure to "Like" Baystate Mold Advisors on Facebook by clicking here and "Follow" them on Twitter by clicking here. Should police use traffic stops as a pretext for investigating people for other crimes? Should local police enforce immigration laws? Do body and dash cameras help ensure ethical conduct by police officers? What can be done to strengthen trust and legitimacy between police departments and people of color? Come hear our experienced panel -- Boston Police Commissioner Bill Evans, Brockton Police Lieutenant Richard Linehan, and BSU criminal justice professor Mitch Librett -- discuss these and other questions, followed by audience Q&A! At the Bridgewater Public Library on Tuesday, December 12th at 6:30 p.m.
Come enjoy a special holiday concert performed by Paul Speidel. 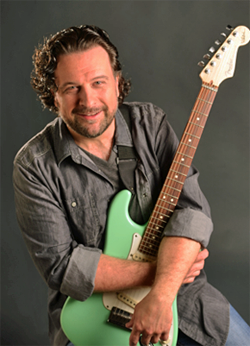 Guitarist and composer Paul Speidel is well-known in the Boston music scene as an accomplished blues-funk- jazz musician. He has appeared with an impressive list of performers, including Toni Lynn Washington, Jay Geils, Duke Robillard, James Montgomery, Michelle Willson, Shirley Lewis, Taylor Made, Bruce Gertz, Gerry Beaudoin, John Lockwood, and many others. Click here to view a video from police chiefs throughout Plymouth County. This holiday season, Plymouth County Outreach (PCO) and police chiefs throughout Plymouth County are reminding citizens of the state's Good Samaritan Law. “With many family members and friends getting together and coming home for the holidays, we want to again make citizens aware of this crucial tool that will help save lives,” East Bridgewater Police Chief Scott Allen said. “Losing anyone to a drug overdose is heartbreaking. Because this is supposed to be such a special time of year, some of the saddest cases we’ve dealt with are the ones that occur during the holidays." The Good Samaritan Law (M.G.L. 94C §34A) states that a person experiencing a drug-related overdose (or someone with the overdosing party) who seeks medical assistance will not be charged or prosecuted for possession of a controlled substance. In addition, the law allows for a person to possess, administer and receive a prescription for the overdose-reversing drug Narcan. It should be noted, the law does not prevent anyone from being criminally charged with trafficking, distribution or possession of a controlled substance with intent to distribute. "While the holidays are a great time of year, it can be a time when some people are at their most vulnerable. 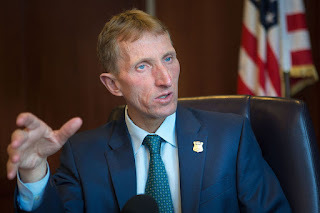 If you are with someone who has overdosed, we urge you to call 911 to get that person help immediately," said Plymouth Police Chief Michael Botieri. "Even if you have Narcan, overdose victims need professional medical assistance. Calling for help can and does save lives." Plymouth County Outreach is an opioid prevention and recovery coalition made up of 27 municipal police departments in Plymouth County, along with the Bridgewater State University Police. PCO has partnered with healthcare, treatment and recovery agencies, along with local coalitions, faith-based organizations and four of the five hospitals in the county, to help overcome the opioid epidemic in Plymouth County. Program initiatives such as drop-in centers, Narcan training, proactive outreach efforts, in-person overdose follow-up visits and real-time overdose data collection, were recently recognized on a national level. As part of the Brockton Area Opioid Abuse Prevention Collaborative, the program was referenced as a key strategy at the local level in the Drug-Free Communities (DFC) Support Program National Evaluation end-of-year report. The report was released in September by the Executive Office of the President and the Office of National Drug Control Policy. "While no one strategy is likely to fully address opioids across communities, several promising practices from a DFC coalition in Massachusetts provide further evidence of the central role that DFC coalitions can play," the report reads. "These practices are innovative and result from the cross-sector collaboration that is at the core of the DFC program." "Being recognized on a national level for the work we have been doing right here in Plymouth County shows that our combined efforts can make a difference in battling this epidemic," Chief Allen said. "Our newly formed advisory group, made up of 12 chiefs in the county, will only serve to strengthen our approach." 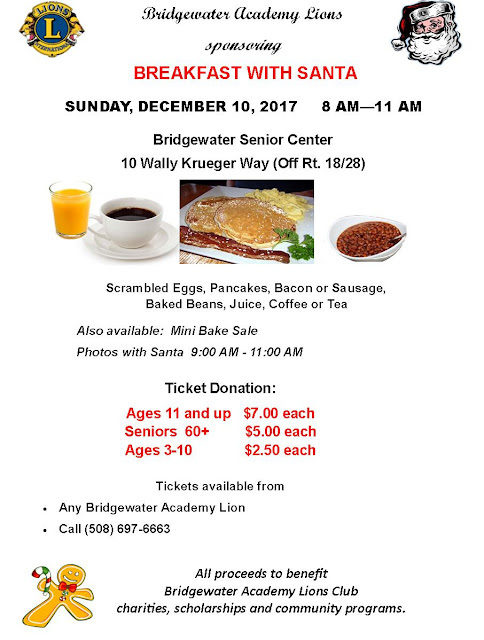 On Saturday, December 9, the Taunton branch of the AAUW (American Association of University Women) will celebrate their annual Holiday Brunch at the home of Louise Freeman in Raynham, beginning at 11:00 a.m.
Two guest speakers are scheduled. Sheila Winborne, Ph.D., is an interdisciplinary scholar who analyzes religious and racial themes in American visual culture of the late 19th, 20th, and 21st centuries. Her forthcoming book sheds new light on the fine art photographer F. Holland Day’s understanding of the artistic process in relation to spirituality and social responsibility while uncovering the theological significance of his representations of people of African descent. Sheila has been awarded the AAUW American Fellowship for 2017-2018. Cassandra Devine is an Australian labor rights advocate who has worked in research, policy, and advocacy roles in her home country for Industrial Relations Victoria, the Australian Council of Trade Unions, and the Fair Work Ombudsman. She is also a human rights activist, having worked with Amnesty International Australia, the Centre for Australian Progress, EMILY’s List, and Zonta. She holds a Bachelor’s degree from Melbourne University. Cassandra was awarded the AAUW International Fellowship for 2017- 2018. The AAUW Education Foundation is the world’s largest source of funding exclusively for graduate women students. The Scholarships support aspiring scholars around the world, teachers and activists in local communities, women at critical stages of their careers, and those pursuing professions where women are underrepresented. AAUW membership is open to any graduate holding an associate or equivalent, baccalaureate or higher degree from a qualified educational institution. Undergraduates may become AAUW affiliate members. For more information about joining the Taunton Area Branch of the AAUW, contact Rosemaire Buote, Vice-President of Membership, at 508-669-5069. For more information about AAUW, visit the website at: http://aauw-ma.aauw.net/. On Saturday December 2nd 2017 at 7:30pm the Off the Common Coffeehouse at the First Parish Unitarian Universalist Church at 50 School St. in Bridgewater, has its’ 3rd concert of their 48th year. 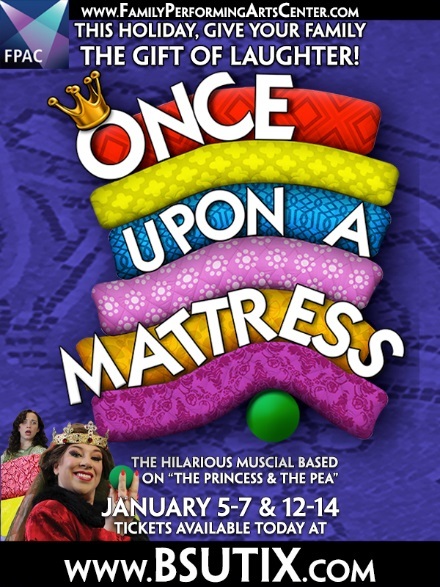 Doors open at 7:00pm, the show starts at 7:30 and the price of admission is only $15.00. Beneath the radar of the corporate music world there are gems to be found. Greg Greenway is a multi-faceted one. A rare combination of instrumental expertise, a soulful and moving singer, powerful poet, and sparkling entertainer, Greenway is one of those difficult-to-categorize performers who has found a home in the modern acoustic genre. His collaboration with Joe Jencks and Pat Wictor as Brother Sun has taken him all over North America for the last five years. “Some Part of the Truth'” their second CD was the number one CD on the Folk DJ list for the year 2013. Both Brother Sun and Greg Greenway are planning new CDs for release in 2016. Originally from Richmond, VA, Greg moved to Boston for its rich Folk Music tradition and has become one of its most unique and superlative emissaries. 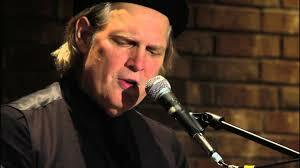 His “In the Name of Love,” a lead in to the U2 classic, “Pride,” was the #5 song on the Folk DJ list in 2013. It has become a defining piece on his journey to becoming an international artist capable of addressing sensitive topics like Race in a way that connects audiences to their humanity while entertaining them at the same time. Musically, his guitar, piano, and ukulele reflect inspiration from all over the map–gospel, rock, blues, Jazz, and world music. But his center is in the singer/songwriter tradition that traces it roots all the way back to the social awareness of Woody Guthrie. His central appeal is that it all comes through the singular lens of Greenway’s own humanity and affinity for the audience. He has legendary energy, couched in a presentation of high spirited give and take of such good humor that audiences unfailingly walk away uplifted. From the end of 2010 to the present, Greenway has been one third of one of the most successful Folk trios in North America, Brother Sun. With Joe Jencks and Pat Wictor, Greenway has, as Brother Sun, produced two CDs, Brother Sun, and the aforementioned, Some Part of the Truth. “Brother Sun” remained on the Folk DJ charts for a year and a half, while 8 songs from SPOTT were in the top 100. Their remarkable three part harmony has brought them standing ovations from mainstages from Massachusetts to Vancouver Island. Among Greenway’s solo highlights are a show at Carnegie Hall in the New York Singer / Songwriter Festival which was rebroadcast on NPR’s World Cafe, an appearance on nationally syndicated Mountain Stage, and a show at the Rock and Roll Hall of Fame honoring Phil Ochs. 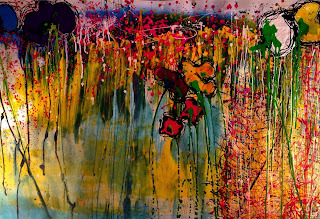 Greenway was seen world wide on CNN’s World Beat in a segment on socially conscious artists. He was filmed at the Clearwater Hudson River Revival Festival performing along with Folk legend Pete Seeger and others. Greenway has been featured on the weekend edition of NPR’s All Things Considered, and his dreams were fulfilled when “Driving in Massachusetts” was played on Car Talk. Even as Brother Sun tours internationally, Greenway has found new avenues through which to channel his art. He has become a producer and a teacher of workshops on song writing, performance, and his beloved C9 tuning. He originated a class entitled Music and Social Change, illuminating the history that bore songs and the songs that bore history. He continues to study piano and voice. 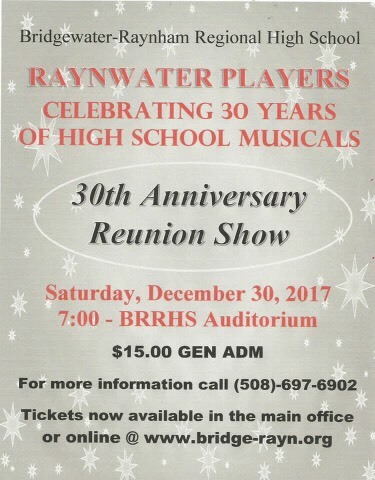 The Department of Music at Bridgewater State University will hold its annual Gala Holiday Extravaganza Concert on Friday, Dec. 15 in the Rondileau Campus Center Auditorium. The evening, which starts at 7:30 p.m., will include a festive mix of traditional and contemporary seasonal favorites performed by the following BSU groups: Wind Ensemble, Chorale, Chamber Singers, Jazz Band, student soloists and more. A donation of $10 per ticket is suggested, with donations designated to the BSU Friends of Music Scholarship Fund. Admission is free for BSU students. 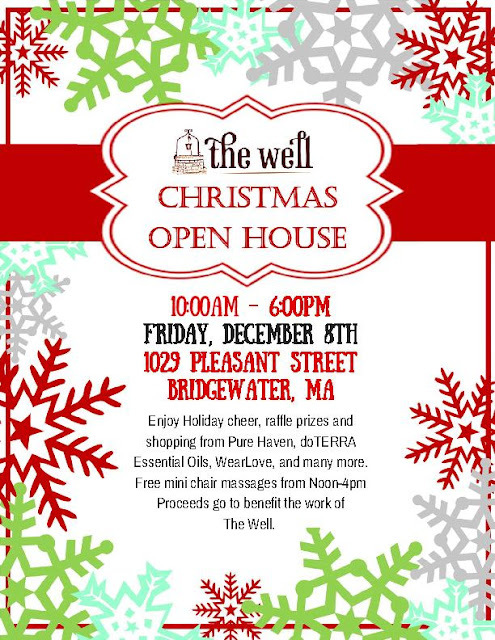 For more information, contact Dr. Donald Running, associate professor and chair of music, at drunning@bridgew.edu or 508.531.2054. Wednesday, November 22- Wednesday, December 13: Mail your letter to Santa at the library! Now-Dec 5: Register for Christmas Bingo on December 6. Ages Kindergarten and up. Friday, December 1 @ 10:30-11:30 a.m.: STEM with Miss Nicole for an 11 week program featuring stories, art, songs and more. This program is for children ages 3-5 and registration is required through Triumph, Inc. @ 508-822-5388 ext. 208. Week 1. Monday, December 4 @ 10:00-11:00 a.m.: Very Ready Reader with Miss Nicole. Open to ages 18 months to 5 years. Registration is required for this 7 week program through Triumph, Inc. Call Richard to register at 508-822-5388 ext. 208 Week 5. Monday, December 4 @ 5:00 p.m.: Movie. The Glass Castle. Tuesday, December 5 @ 10:30 a.m.: Christmas Movie: “How the Grinch stole Christmas”. (26 min.) All ages with adult, no registration. Tuesday, December 5 @ 4:15 p.m.: “Mom & Me Gingerbread House Decorating”. Registration required. Ages 5-9 with adult. Limited spaces. Wednesday, December 6 @ 9:30-10:00 a.m.: Book Babies. Lapsit for children up to 30 months with caregiver. Join Mrs. Davis for rhymes, songs, story and playtime. No registration. Wednesday, December 6 @ 10:30 a.m.: Christmas Story Time and Craft with Mrs. Davis. Geared towards ages 2+. No registration. Wednesday, December 6 @ 4:15 p.m.: Christmas Bingo! Join us for Christmas Bingo. Practice your reading skills– we play with words, not numbers. This program is for ages Kindergarten and up and registration is required. Thursday, December 7 @ 10:30-11:00 a.m.: Book Babies. Lapsit for children up to 30 months with caregiver. Join Mrs. Davis for rhymes, songs, story and playtime. No registration. Friday, December 8 @ 10:30-11:30 a.m.: STEM with Miss Nicole for an 11 week program featuring stories, art, songs and more. This program is for children ages 3-5 and registration is required through Triumph, Inc. @ 508-822-5388 ext. 208. Week 2. Monday, December 11 @ 10:00-11:00 a.m.: Very Ready Reader with Miss Nicole. Open to ages 18 months to 5 years. Registration is required for this 7 week program through Triumph, Inc. 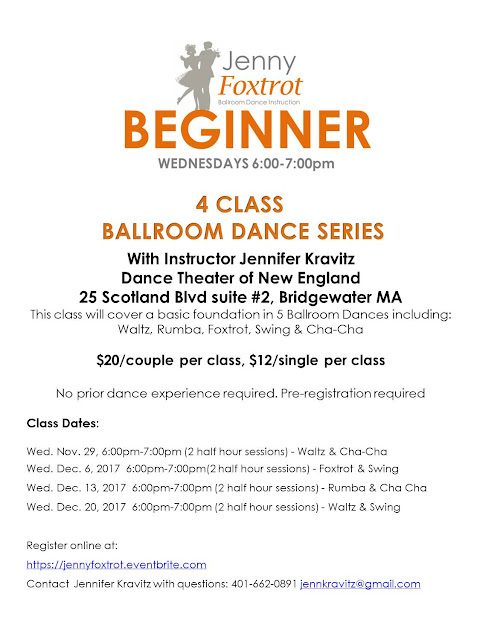 Call Richard to register at 508-822-5388 ext. 208 Week 6. Tuesday, December 12 @ 10:30 a.m.: Christmas Movie: “Mickey’s Christmas Carol”. (26 min.) All ages with adult, no registration. 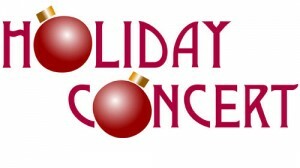 Tuesday, December 12 @ 6:30 p.m.: Holiday Jazz Music with Paul Speidel. Wednesday, December 13 @ 9:30-10:00 a.m.: Book Babies. Lapsit for children up to 30 months with caregiver. Join Mrs. Davis for rhymes, songs, story and playtime. No registration. Wednesday, December 13 @ 6:30 p.m.: Christmas Story Time and Craft with Miss Emily. Geared towards ages 2+. No registration. Thursday, December 14 @ 10:30-11:00 a.m.: Book Babies. Lapsit for children up to 30 months with caregiver. Join Mrs. Davis for rhymes, songs, story and playtime. No registration. Thursday, December 14 @ 1:00 p.m.: Half Day of School Movie. “ Nut Job 2: Nutty to Nature”. (PG, 92 minutes) All ages with adult, no registration. 1:00 p.m.
Friday, December 15 @ 10:30-11:30 a.m.: STEM with Miss Nicole for an 11 week program featuring stories, art, songs and more. This program is for children ages 3-5 and registration is required through Triumph, Inc. @ 508-822-5388 ext. 208. Week 3. Monday, December 18 @ 10:00-11:00 a.m.: Very Ready Reader with Miss Nicole. Open to ages 18 months to 5 years. Registration is required for this 7 week program through Triumph, Inc. 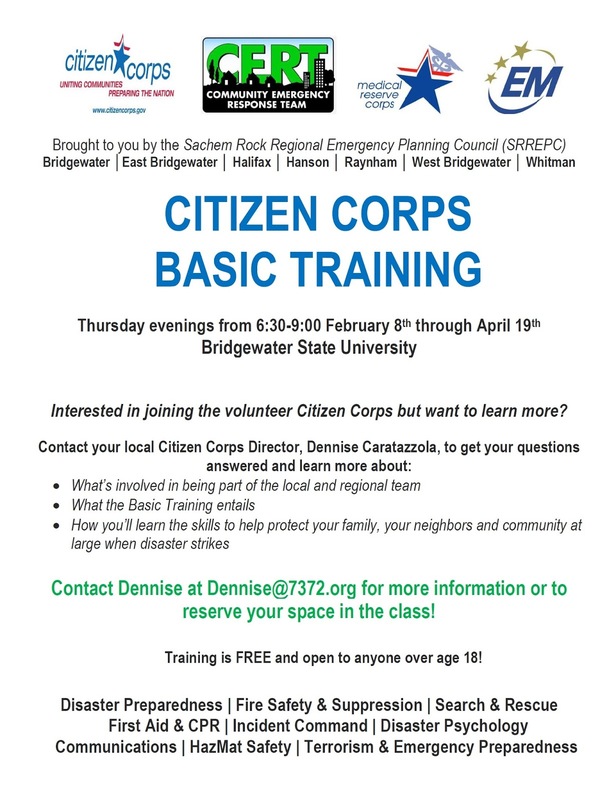 Call Richard to register at 508-822-5388 ext. 208 Week 7. Monday, December 18 @ 5:00 p.m.: Movie. TBD. Tuesday, December 19 @ 10:30 a.m.: Christmas Movie: “Twas the Night Before Christmas”. (26 min.) All ages with adult, no registration. Friday, December 22 @ 10:30-11:30 a.m.: STEM with Miss Nicole for an 11 week program featuring stories, art, songs and more. This program is for children ages 3-5 and registration is required through Triumph, Inc. @ 508-822-5388 ext. 208. Week 4. 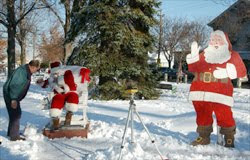 The Bridgewater common was decorated on the Friday and Saturday after Thanksgiving. It is a miracle each year that after Thanksgiving the decorations on the Common appear. 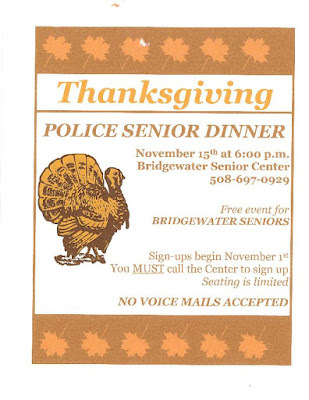 The Bridgewater Lions Club is responsible for this. There were 25 Lions who volunteered their time to set up the decorations this year . Lion Don Swarce organizes the work and Lions members paint the decorations in September and October. There were ten B-R Robotics team members, one West Bridgewater High School Football player and one Raynwater Player member who volunteered their time for community service. Over the years each of the handcrafted decorations has grown. The decorations include the wooden soldiers, the gingerbread house and the gingerbread people, the carolers, the candy canes, the rustic New England church, the Nativity scene, the Hanukkah candles, Santa, his Chair and mailbox, and the train. Even before the train is completely set up there are children waiting to "drive the train" or "sit in one of the cars". The angels were donated by a local resident whose father made them. The Nativity scene was donated by a local artist. The train was built by inmates at the Correctional Institute many years ago. The elves, candy canes and other wooden figures were made by Lions members. You may wonder how the Lions are able to pay for all of the decorations. The answer is simple. We fund raise and hold activities year round and we rely on the generous support of the businesses and people of Bridgewater. Our main sponsor for decorating the Common is Bridgewater Savings Bank who generously funded the materials costs again this year. There were twelve lamp posts that needed new garland and bows this year. Ken Perry of Perry’s Automotive on Wall Street transported the decorations. Butch Bump and Sue of Inline Fence came down to help with the post holes, which saved a lot of time. Lions are Helen Keller’s “knights of the blind”. 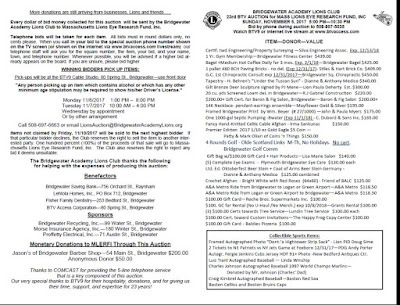 The mission is to prevent blindness by raising funds to further Mass Lions Eye Research. 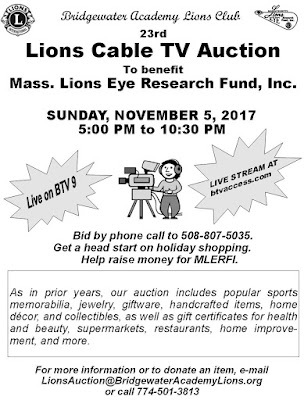 Lions purchase eyeglasses for both school children and others unable to pay for sight, sponsor youth sports, scholarships and hearing aids. The monies collected go 100% into their charity account. No one in the Bridgewater Lions Club is paid, no percentage goes into administering the charity fund. Anyone interested in assisting with this community project is welcome. Lions are always looking for new members and residents wishing to be involved. 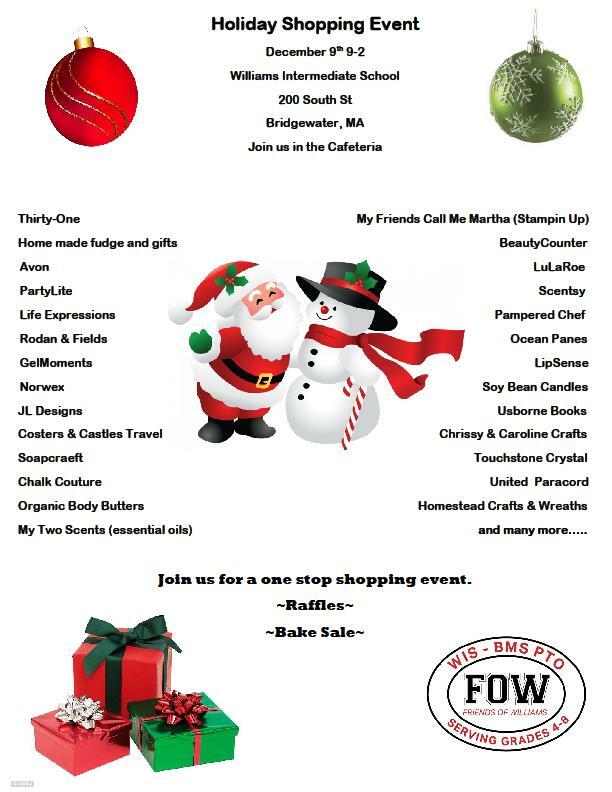 The Bridgewater Business Association hosts a fantastic “Christmas on the Common” and this year it will be held on December 3rd. Please click here for more information. 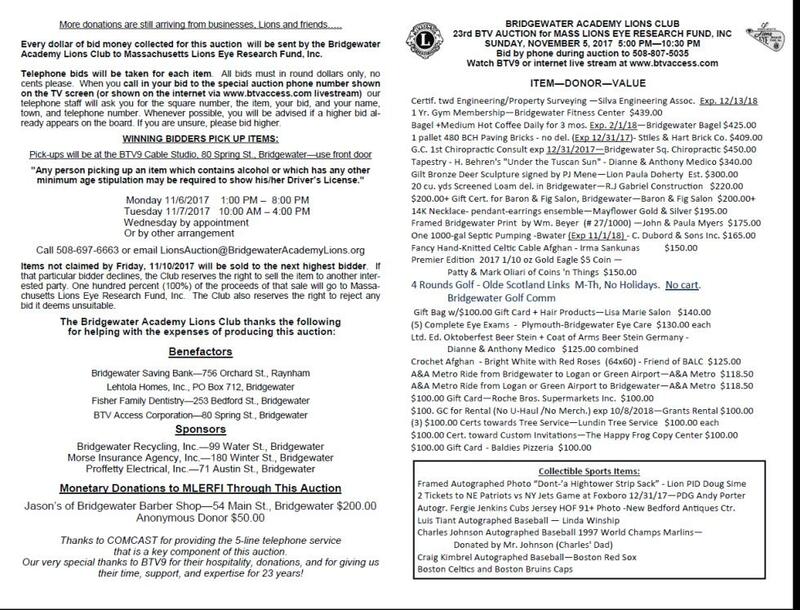 Bridgewater Lions Club contact Carl Hanson and his email is chanson565@yahoo.com if you would like to become involved. A historical lecture on Charles Dickens “A Christmas Carol” presented by Historian and Professor Dr. Gary Hylander at the Bridgewater Public Library on Tuesday, December 5th at 6:30 p.m.
Charles Dickens novella “A Christmas Carol”, published in 1843, has become one of the best loved Christmas tales of all time. You know the story, but do you know the history behind it? Join us as Gary Hylander sheds light on the history and vision of a most cherished work. Dr. Gary Hylander is currently an independent scholar who specializes as a presidential historian, a pedagogical specialist for the National Endowment for the Humanities and professor of history. The event begins at 6:30 p.m. at the Bridgewater Public Library, is free and open to the public. Monday, December 4, 2017 at 1 p.m.
Full band sound with keyboards and guitar--holiday & contemporary songs. There is no charge for the event. Refreshments will be served. Proceeds from this concert will benefit Bridgewater Operation Santa and the Ousamequin Club will be collecting new toys to be donated. 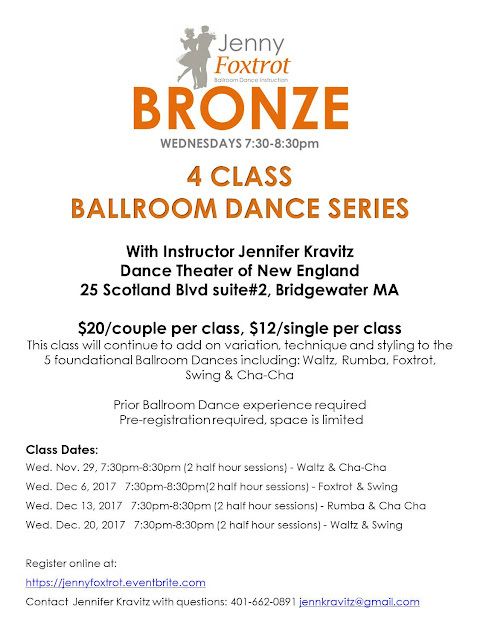 This program is supported in part by a grant from the Bridgewater Cultural Council supported by the Mass Cultural Council, a state agency. The Bridgewater-Raynham High School's Art Club and School Climate Group is sponsoring a breakfast with Santa! 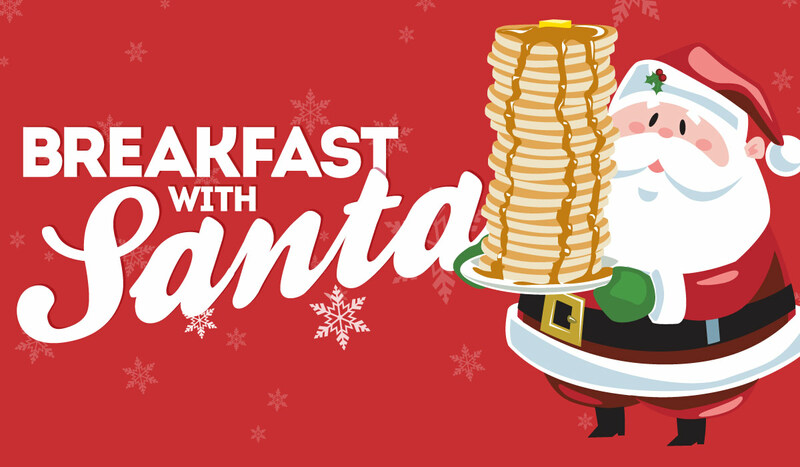 Join Santa for a delicious breakfast including arts and crafts, as well! The Center for Democratic Governance and Leadership at Bridgewater State University is hosting a talk on gun rights that features two members of the Massachusetts House of Representatives. Representatives Peter Durant (R-6th Worcester District) and David Linsky (D-5th Middlesex District) will discuss issues concerning gun regulation and gun rights – both locally and nationally – and the efforts the state legislature has taken or could take to balance these competing perspectives. The public policy forum will be held Monday, Nov. 27 from 11:15 to 12:05 p.m. in the Moakley Center Auditorium, 100 Burrill Ave. The event is open to the public in addition to all members of the BSU community. The Bridgewater Garden Club will hold a Greens workshops for ages 5-12 on Monday, December 11 at 4:15 P.M. and Wednesday, December 13 at 4:15 P.M. in the afternoon at the Cole-Yeaton Senior Center. The children will learn about greens and hollies and design their own arrangement to bring home. There is no fee and all materials are provided.. Only 25 will be accepted each day. Parents should stay with the children although you will sit off to the side as this is their creation. Please put “Children’s Greens” in the subject line. 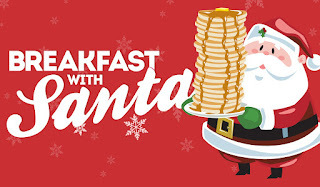 Visit with Santa from 11:00 a.m. to 2:00 p.m.
A light lunch will be served 11:00 a.m. to 2:00 p.m.
Dr. Hussain is Professor of Theological Studies at Loyola Marymount University, where he teaches courses on world religions. His own particular specialty is the study of Islam, focusing on contemporary Muslim societies in North America. His most recent book is Muslims and the Making of America, published in 2016 by Baylor University Press. He is the co-editor for the fourth editions of World Religions: Western Traditions, and World Religions: Eastern Traditions, textbooks published in 2014 by Oxford University Press. He is also the co-editor for the third edition of A Concise Introduction to World Religions, published by OUP in 2015. Prior to those books, he wrote an introduction to Islam for North Americans entitled Oil and Water: Two Faiths, One God (Kelowna: Copper House, 2006). He has published over 50 book chapters and scholarly articles about religion. Wrap-up your holiday shopping – buy the perfect gift made locally. From so many varieties: pecan shortbread, chocolate peppermint bark, molasses, etc. Enjoy a cookie with a cup of hot chocolate. Take a dozen or more home. Saturday 11a – 2p Soup Buffet! Ten or more varieties – creamy corn chowder, chicken with rice, savory lentil, squash bisque. Get a bottomless cup and sample them all. 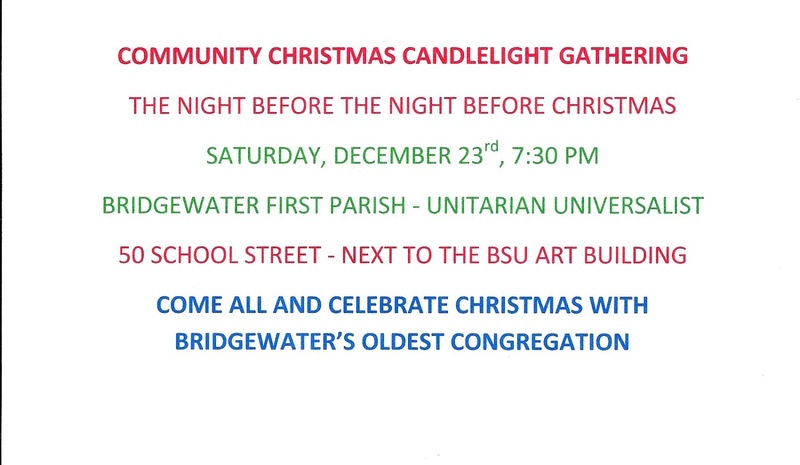 The Bridgewater Council of Churches welcomes everyone as we gather together and share our blessings with one another. The Thanksgiving Message will be delivered by Rev. Ken Mantler from the Bridgewater United Methodist Church. ~Join the Community Choir...rehearsal at 6:00. All welcome! ~All donations shared with local food pantries...please bring a donation of a non-perishable food. 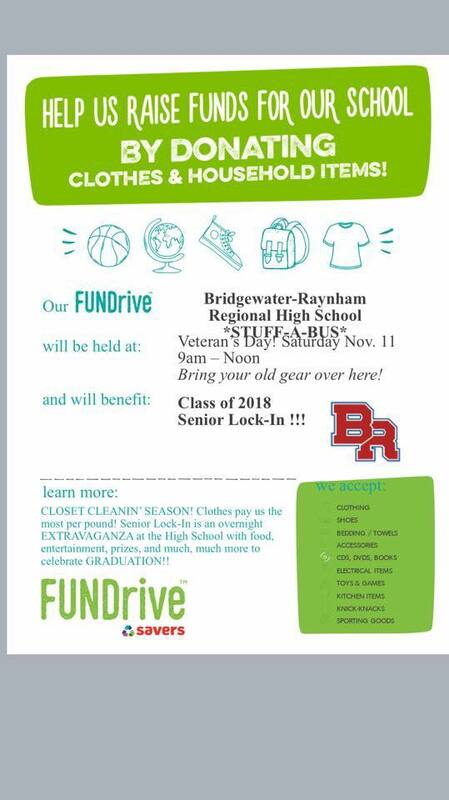 The Bridgewater-Raynham Senior Class is holding a fundraiser on Saturday to benefit their year-end Lock-In. This is a great opportunity to clean out some stuff from your home and support a great cause! On Wednesday, November 15th, the Taunton branch of the AAUW (American Association of University Women) will meet at the Arbors in Taunton, located at 763 County Street. The meeting, which is open to the public, begins at 6:00p.m. 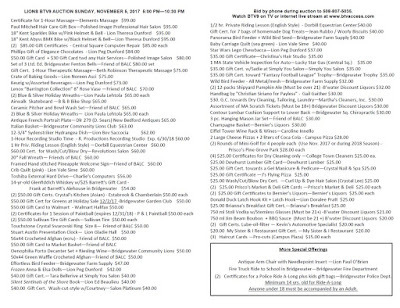 A silent auction for the AAUW Legal Advocacy Fund and Education Foundation will take place. AAUW membership is open to all women holding an associate or equivalent, Baccalaureate or higher degree from a qualified educational institution. Undergraduates may become AAUW affiliate members. The Bridgewater Garden Club will hold Greens Workshops for ages 5-12 on Monday, December 11 at 4:15 P.M. and Wednesday, December 13 at 4:15 P.M. in the afternoon at the Cole-Yeaton Senior Center. The children will learn about greens and hollies and design their own arrangement to bring home. There is no fee and all materials are provided.. Only 25 will be accepted each day. Parents should stay with the children although you will sit off to the side as this is their creation. On subject line include "Kids Greens"
MARK YOUR CALENDAR, AND TELL YOUR FRIENDS! Turkey supper, to eat in or take out: 5pm and 6:30pm seatings, or order for takeout. Reservations required, seating is limited. Call 508-697-6016 (M-F, 9am-1pm) or email office@csccucc.com to reserve your seat or takeout meal. Adult $12; senior/student $8; children under 12 $6; family (up to two adults and the children that live with them) $35. If you email, the information required: 5pm/6:30pm/Takeout? CSCC is a Bridgewater Food Pantry donation site. Please bring a nonperishable item if you are able. 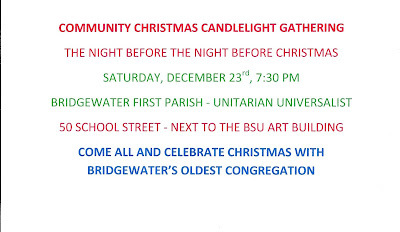 Visit www.csccucc.org for full details, or find us on Facebook: www.facebook.com/csccuccbridgewaterma. Wednesday, November 1 @ 9:30-10:00 a.m.: Book Babies. Lapsit for children up to 30 months with caregiver. Join Mrs. Davis for rhymes, songs, story and playtime. No registration. Wednesday, November 1 @ 10:30-11:00 a.m.: Story Time and craft. Drop in story time for all ages with adult. Join Mrs. Davis for stories, songs, rhymes and a craft. All ages, no registration. Thursday, November 2 @ 10:30-11:00 a.m.: Book Babies. Lapsit for children up to 30 months with caregiver. Join Mrs. Davis for rhymes, songs, story and playtime. No registration. Friday, November 3 @ 10:30-11:30 a.m.: Read Together, Grow Together with Miss Nicole for a 9 week program featuring stories, art, songs and more. This program is for children ages 3-5 and registration is required through Triumph, Inc. @ 508-822-5388 ext. 208. Week 8. Saturday, November 4: Registration opens for Harvest Bingo. Open to ages 6+- we play with words not numbers! Tuesday, November 7 @ 10:30-11:00 a.m.: Story Time with Miss Emily. Stories, games, a craft and FUN! All ages with adult, no registration. Tuesday, November 7 @ 4:30 p.m.: Jasper Retires! Jasper, our lovable therapy dog, is retiring! Join us for a retirement party. Cards and drawings accepted at the children’s desk anytime in advance. No registration, all ages welcome! Tuesday, November 7 @ 6:30 p.m.: A Supernatural Evening with Jeff Belanger. Join us for an evening of true ghost stories, research, and evidence from around the world. Wednesday, November 8 @ 9:30-10:00 a.m.: Book Babies. Lapsit for children up to 30 months with caregiver. Join Mrs. Davis for rhymes, songs, story and playtime. No registration. Wednesday, November 8 @ 10:30-11:00 a.m.: Story Time and craft. Drop in story time for all ages with adult. Join Mrs. Davis for stories, songs, rhymes and a craft. All ages, no registration. Thursday, November 9 @ 10:30-11:00 a.m.: Book Babies. Lapsit for children up to 30 months with caregiver. Join Mrs. Davis for rhymes, songs, story and playtime. No registration. Friday, November 10: Closed for Veterans Day. Saturday, November 11: Closed for Veterans Day. Monday, November 13 @ 10:00-11:00 a.m.: Very Ready Reader with Miss Nicole. Open to ages 18 months to 5 years. Registration is required for this 7 week program through Triumph, Inc. 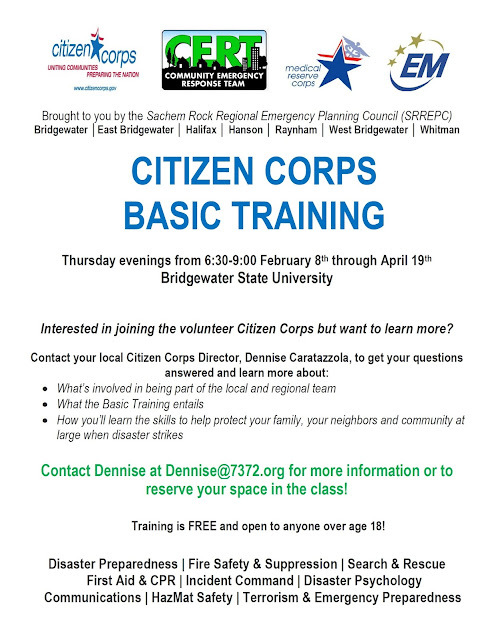 Call Richard to register at 508-822-5388 ext. 208. Monday, November 13 @ 5:00 p.m.: Movie: Spiderman Homecoming. Wednesday, November 15 @ 4:30 p.m.: Harvest Bingo! Join us for Harvest Bingo. Practice your reading skills– we play with words, not numbers. This program is for ages 6+ and registration is required. Friday, November 17 @ 10:30-11:30 a.m.: Read Together, Grow Together with Miss Nicole for a 9 week program featuring stories, art, songs and more. This program is for children ages 3-5 and registration is required through Triumph, Inc. @ 508-822-5388 ext. 208. Week 9. Tuesday, November 21: Registration for “Mom & Me Gingerbread House Decorating” opens. Program will be December 5 @ 4:15 p.m., ages 5-9 with adult. Limited spaces. Thursday, November 23: Closed for Thanksgiving. Friday, November 24: Closed for Thanksgiving. Monday, November 27 @ 5:00 p.m.: Movie: The Beguiled. Tuesday, November 28: Registration opens for Christmas Bingo, held on Wednesday, December 6 @ 4:15 p.m. Open to ages 6+- we play with words not numbers! Wednesday, November 29 @ 9:30-10:00 a.m.: Book Babies. Lapsit for children up to 30 months with caregiver. Join Mrs. Davis for rhymes, songs, story and playtime. No registration. Thursday, November 30 @ 10:30-11:00 a.m.: Book Babies. Lapsit for children up to 30 months with caregiver. Join Mrs. Davis for rhymes, songs, story and playtime. No registration. Friday, December 1 @ 10:30-11:30 a.m.: STEM with Miss Nicole for a 11 week program featuring stories, art, songs and more. This program is for children ages 3-5 and registration is required through Triumph, Inc. @ 508-822-5388 ext. 208. The Bridgewater Cultural Council decides by a majority vote of the BCC Members to determine the distribution of arts lottery funds or other funds that may be available to it and may conduct other activities to support these efforts on an ongoing basis. THE BRIDGEWATER CULTURAL COUNCIL WILL MEET ON TUESDAY, NOVEMBER 7, 2017 AT 6:30 P.M. - 7:45 PM, TO VOTE ON APPROVAL OF SUBMITTED GRANT APPLICATIONS AND TO ELECT OFFICERS. MEETING IS OPEN TO PUBLIC. MEETING WILL BE HELD AT 66 CENTRAL SQUARE, 2nd Floor, ROOM 201B. Now on Sale 2018 Bridgewater Public Library Calendar! This is a beautiful customized pictorial calendar on glossy paper of our great library. 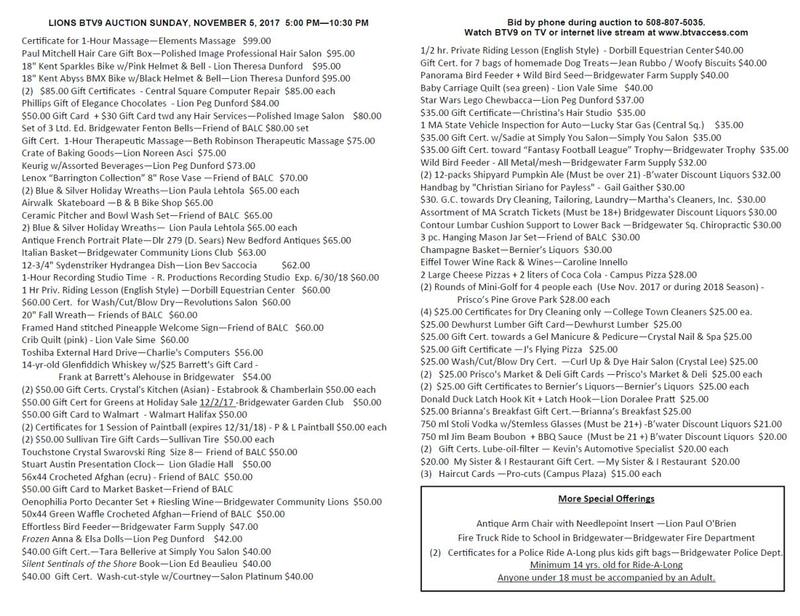 Calendar includes the monthly artist in our art gallery, a coupon for our bookstore and a fine waiver. This is your chance to support our library. Proceeds will help fund future programs. Makes a great holiday gift! Purchase directly at the Bridgewater Public Library for only $20.00. Karen Heller Stone is now offering tutoring services here in Bridgewater and neighboring towns and Stone's business Tutoring Progress is available for students looking to take their education to the next level! Tutoring Progress enjoys working with students of all ages and focuses on breaking down problems in all subjects so that the student can understand the learning path- and then break it down independently. Karen has been teaching for forty years and it has never lost its magic! Stone offers a learning experience and educational growth in an enjoyable atmosphere and can provide references upon request. Tutoring sessions run $65/hour and appointments can be made by calling Karen at 508-269-9604 or via email at askaren@comcast.net.